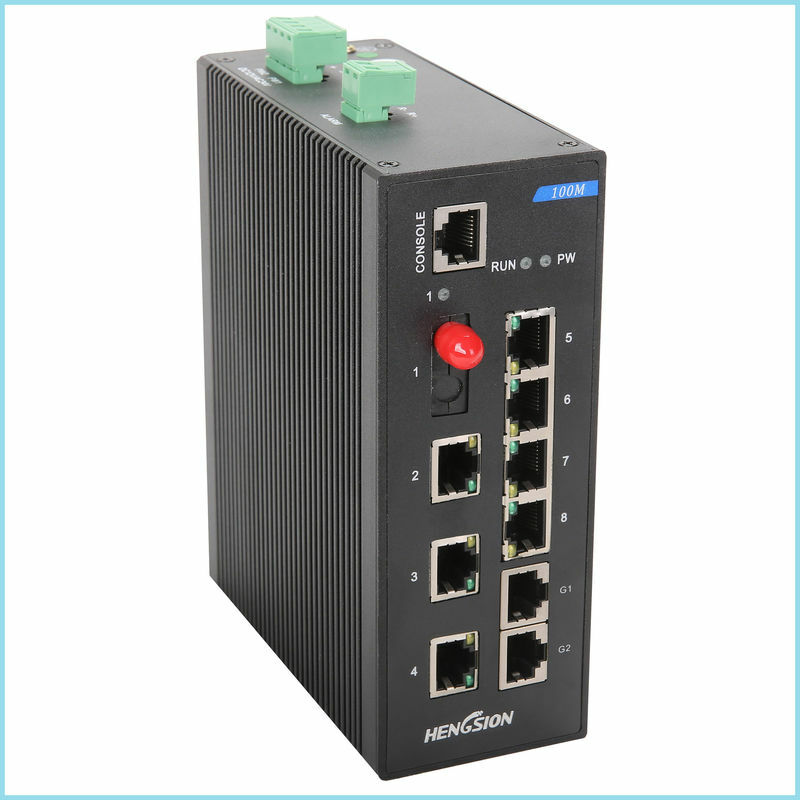 HENGSION unmanaged EIB10-7E-1F-2EG provides 2*Gigabit Ethernet ports and 7*100BaseT(X) fast Ethernet ports & 1*100Base FX fiber optic ports. No fan, low power consumption design; Din rail corrugated metal casing, meet IP40 protection grade; Dual redundant power input; Comply with CE, FCC and ROHS standards.EIB10 series’ wide operating temperature range and port surge protection design are ideal for application in large flow real-time outdoor environment, and are widely used in industrial automation control and surveillance occasions like campus, community, rail traffic, electric power control and so on. Support full-loaded operating temperature range -40 to 85℃.